Before you invest in putting a mini-fridge in your bathroom to house all of your DIY beauty goodies, maybe you should give this cleansing grains skin care routine a try. Cleansing grains are a gentle powdered mixture of all natural ingredients such as oats, clays, nuts, and adaptogenic herbs. Much like the just-add-water facial masks I told you about, cleansing grains are a powdered no-fuss version that are the building blocks of this gentle skin care routine. 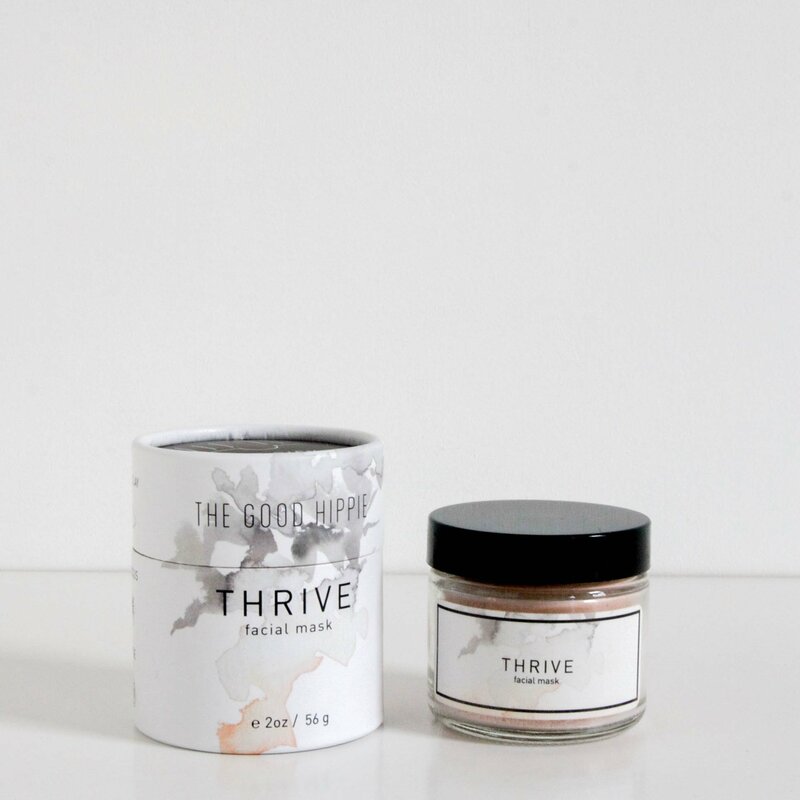 The Good Hippie, a small batch natural skin care company, offers a comprehensive beauty routine with specialized blends that target the concerns of the 3 major skin types: Balance for normal/combination, Repair for oily/acne prone, and Thrive for dry/mature. Each blend consists of the products necessary to achieve the best results in this 5 step beauty ritual. 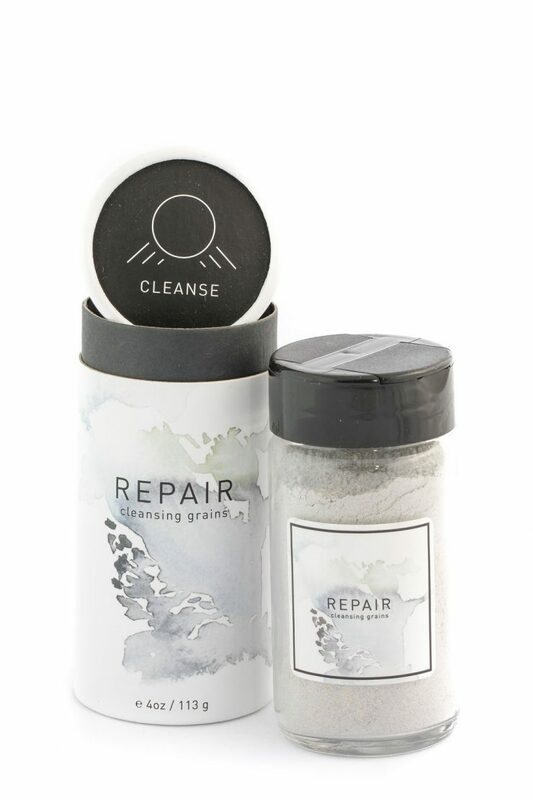 Begin with cleansing grains (Balance, Repair, and Thrive), a gentle, soap-free facial wash. Use daily, morning + night for beautifully balanced, clean, and clear skin. Twice a month, indulge in a facial steam (Balance, Repair, and Thrive); a medley of vibrant botanicals that provides a deep cleansing, leaving your skin with a healthy glow. Exfoliate, twice a week with a scrub (Balance, Repair, and Thrive). Gentle exfoliators + aromatic herbs assist in cell rejuvenation, revealing a fresh, vibrant complexion. Twice a week, treat your skin to a mask treatment (Balance, Repair, and Thrive). Natural clays + healing botanicals provide a deep cleansing while leaving your skin beautifully toned, detoxed, and revitalized. You may also use regularly as a spot treatment on blemishes as needed. Toners and facial mists (Repair and Thrive) should be used daily, morning and night or as needed to re-hydrate and refresh throughout the day. Aloe water, essential oils, and purifying witch hazel remove dirt and impurities that may have been missed during the cleansing process, closes pores, and prepares your skin for optimal hydration and moisture. Moisturizing facial oils (Balance, Repair, and Thrive) are a blend of pure botanical oils and healing essential oils that feed your skin vitamins and nutrients, deliver concentrated moisture, and form a protective barrier, shielding your skin from the harsh effects of the environment. Used twice a day, morning + night, these readily-absorbing serums lend a smoothness, and a hydrating glow to your complexion. For your delicate eye area, use the deeply nourishing Thrive eye serum morning + night.